L 8) Suspension:full suspension 9) Max. speed:50Km/h 10) Load:2 rider or 60kg 11) Fuel Tank(liter):4.2 12) Gross/Net weight(kg):115/80 13) Gross/Net weight(kg):290/208 14) Carton size:2220x1180x820mm 15) Container:29pcs/40''HQ Atv,Quad go kart and Buggy HS code:8703101100 1) Engine Type: 1-Cylinder,4-stroke,air cooling 2) Displacement: 150cc 3) Brake: hydraulic disc/right foot control 4) Starting system: electric 5) Final drive: chain 6) Transmission: Full automatic with reverse 7) Lanition: C.D. L 8) Suspension: full suspension 9) Max. 2. We have modernized products research and development center , a complete set of production line,testing and proving ground for carload, quick E-business platform and perfect m anagement system. 4. In line with the advanced design theory and the way of making research and development by c ooperating with colleges. 8. Our products have been sold in over 30 countries and regions ,such as Europe ,America and Southeast Asia. 9 YRS Qingdao Castle Industry & Trade Co., Ltd.
4 YRS Zhejiang Sinoworldbaby Products Co., Ltd.
After sale: We will arrange production as soon as possible and provide installation of video, pictures, engineers and 24 months after-sales service. The production capacity of our factory has been recognized by peers and countries, and our company have many certifications. Q3: Can It Be Customized9 A: All our rides can be customized according to your requirements. 150cc go kart (EEC/EPA go kart) specification: Assembly required : wheel,steering bar,seat,battery,fuel box,brush guard bar,review mirror Engine type : single cylinder air-cooled 4-stroke. 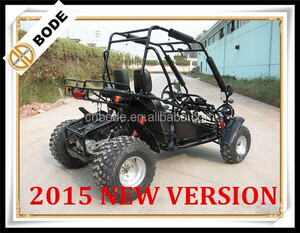 m/rpm Bore*stroke : 2.26*2.28 inch Max speed : 40 miles/h Climbing ability : &ge;30&deg; Ignition : C.D. I, Battery : 12V7A Carburetor brand : PD24J Engine oil : SAE15W/40SF Gear oil : 85W/40 Clutch : AUTOMATIC Driving wheel : Rear wheel drive Suspension,front/rear : Double arm-swing/ single arm Brakes,front/rear : Disc Brake operation : Hand +foot Tires,front/rear : 19&times;7-8/18&times;9.5-8 Fuel capacity/type : 2.5gal Weight,G.W./N. &bull; Diameter of mounting hole: 6.8mm-6.95mm. &bull; Diameter of mounting hole: 6.8mm-6.95mm. &bull; Diameter of mounting hole: 6.8mm-6.95mm. But the exact delivery time might be different for different orders or at different time. 6. Q:What's your warranty terms9 A: for engine and frame is one year,and other parts are 3 months. 7. Q: Will you deliver the right goods as ordered9 How can I trust you9 A: Yes, we will. Alibaba.com offers 78,777 china karts products. About 50% of these are go karts, 1% are ride on car, and 1% are other amusement park products. 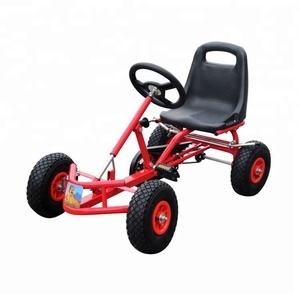 A wide variety of china karts options are available to you, such as plastic, stainless steel, and aluminium. You can also choose from storage, industrial, and tools. As well as from platform, enclosed, and roll container. And whether china karts is free samples, or paid samples. There are 78,777 china karts suppliers, mainly located in Asia. The top supplying country is China (Mainland), which supply 100% of china karts respectively. 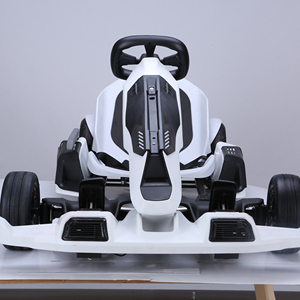 China karts products are most popular in North America, Western Europe, and Northern Europe. You can ensure product safety by selecting from certified suppliers, including 19,075 with ISO9001, 9,776 with Other, and 413 with ISO/TS16949 certification.